After looking at international, Cuban and U.S. Government reactions to the December 17th announcement of U.S.-Cuba reconciliation, we now examine the reactions of the American people. Those reactions can be obtained from public opinion polls and the views of prominent Americans, newspapers and business interests and from efforts to promote understanding of the issues and congressional support of the changes. On January 8, 2015, the United States Agricultural Coalition for Cuba was launched by 30 companies and other organizations “to strive to turn Cuba from an enemy to an ally . . . by building trade relations with an honest appraisal of the past and a fresh look to the future.” This mission is based upon the beliefs that “the improvement of agricultural trade between the U.S. and Cuba is the foundation for building successful and enduring relations between the two countries” and that “an increased exchange of ideas, knowledge, capital and credit will benefit both countries.” Speaking in support of this Coalition were U.S. Secretary of Agriculture (Tom Vilsack), Governor of Missouri (Jay Nixon), U.S. Senators Amy Klobuchar (Dem., MN) and Jerry Moran (Rep., KS) and U.S. Representatives Sam Farr (Dem., CA), Kevin Cramer (Rep., ND) and Rodney Davis (Rep., IL). An important event to promote Minnesotans understanding of these issues will be on February 23rd (9:30-11:00 a.m.): “Modernizing U.S.-Cuba Relations Summit.”  This Summit has been called by our Senator Amy Klobuchar, a self-identified “strong supporter of normalizing ties with Cuba and increasing travel and commerce that could create new economic opportunities for American farmers and businesses while increasing the quality of life for Cubans.” After the Senator’s opening remarks, the keynote speaker will be Michael Scuse (Undersecretary for Farms and Foreign Agricultural Services, U.S. Department of Agriculture). 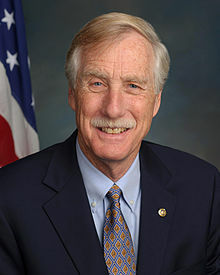 The Senator will then moderate a panel discussion with Dave Fredrickson (Commissioner, Minnesota Department of Agriculture), Devry Boughner Verwerk (Cargill Incorporated’s Director of Latin American Corporate Affairs and Chair of the U.S. Agricultural Coalition for Cuba), Rodolfo Gutierrez (Executive Director, Hispanic Advocacy and Community Empowerment through Research) and Ralph Kaehler (Minnesota farmer who has participated in trade missions to Cuba). I am helping to organize Minnesotans for U.S.-Cuba Reconciliation to inform the citizens of our state about the importance of this breakthrough and to mobilize public opinion to persuade our representatives in Congress to support the various measures to implement such reconciliation. Now is the time for U.S. citizens who want to see our country reconciled with Cuba to be active. Say thank you and support, politically and financially, senators and representatives who support this effort. Identify those in Congress who appear to be open to this point of view from the citizenry and communicate your views to them. Write letters to the editor or op-ed articles for publication. Or, like me, research and write blog posts on the issues. Talk with your friends and colleagues. Fellow Minnesotans should contact me to join Minnesotans for U.S.-Cuba Reconciliation. Citizens in other states, I hope, will organize similar groups. I also invite comments to this post with corrections or additional facts and sources regarding the American people’s reactions to this important change in our country’s relations with Cuba. Edwards-Levy, Polls Show Support for U.S. To Re-Establish Ties with Cuba, Huff. Post (Dec. 18, 2014); Dugan, Americans on Cuba: For Normalized Relations, but Party Divide Exists, Gallup (Dec. 18, 2014). Holyk, Poll Finds Broad Public Support for Open Relations with Cuba, abc News (Dec. 23, 2014). Fuerte, Prominent USA personalities Urge Obama to Deepen Relationship with Cuba, Havana Times (Jan 19, 2015). The signers of the letter included Bruce Babbitt (former Governor of Arizona and former U.S. Secretary of the Interior), Harriett Babbitt (former U.S. Ambassador to the Organization of American States), Samuel Berger (former U.S. National Security Advisor), Chet Culver (former Governor of Iowa), Francis Fukuyama (Stanford University), Dan Glickman (former U.S. Congressman and former U.S.Secretary of Agriculture). Thomas Pickering (former U.S. 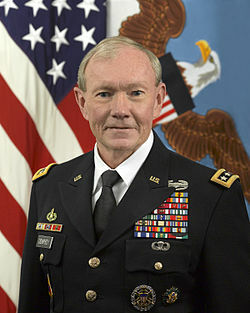 Ambassador and former U.S. U.S. Under Secretary of State for Political Affairs), Bill Richardson (former Governor of New Mexico and former U.S. Ambassador to the U.N.), Ken Salazar, former Colorado Attorney General, former U.S. Senator and former U.S. Secretary of the Interior), George Schultz (Former U.S. Secretary of State, Treasury and Labor) and Strobe Talbott (former U.S. Deputy Secretary of State). The Summit will be at at the University of Minnesota College of Continuing Education, Room 135, 1890 Buford Avenue, St. Paul, MN 55108. It is free and open to the public. Please RSVP to Clara_Haycraft@Klobuchar.senate.gov. The Times points out that Cuba has “taken significant steps to liberalize and diversify the island’s tightly controlled economy.” This includes “allowing citizens to take private-sector jobs and own property.” encouraging foreign investment, constructing a major deep-sea port in Mariel with Brazilian capital and negotiating a cooperation agreement with the European Union. Although the pace of reform may seem slow and inconsistent, these are significant changes. End the Embargo. Just 16 days before the U.N. General Assembly is expected again to overwhelmingly approve Cuba’s resolution to condemn the embargo, the Times says the U.S should end its embargo of Cuba as it has become “clear to many American policy makers that the embargo was an utter failure.” In addition, now a slight majority of Cuban-Americans in Florida oppose the embargo. In addition, ending the embargo would eliminate Cuba’s using the embargo as an excuse for the Cuban government’s shortcomings. In the opinion of the Times, Restoring relations would improve U.S. “relationships with governments in Latin America, and resolve an irritant that has stymied initiatives in the hemisphere.” The most current example of that irritant is “Latin American governments . . . [insisting] that Cuba, the Caribbean’s most populous island and one of the most educated societies in the hemisphere, be invited” to next year’s Summit of the Americas in Panama over U.S. opposition. Moreover, “The [Cuban] government has said it would welcome renewed diplomatic relations with the United States and would not set preconditions” while a significant majority of Cuban-Americans favor restoring diplomatic ties, mirroring the views of other Americans. I concur in all of the Times’ recommendations, but believe it understates the economic reasons for these changes in U.S. policy. Here is a fuller exposition of those economic reasons. This month Dr. José Ramón Cabañas Rodriguez, the Chief of Mission, Cuban Interests Section, said that the U.S. was running the risk of becoming economically irrelevant to Cuba. Many foreign countries, especially China, and foreign companies are developing good commercial relationships with Cuba and its new private businesses with ordinary commercial terms, unlike the U.S. sales of food and agricultural products under an exemption to the U.S. Helms-Burton Law that requires Cuba to pay in advance and in cash for such products. This U.S. practice is not a good way to encourage future business. Moreover, the new Mariel port and its adjacent business park is attracting interest from companies all over the world, and if all the space in that park is committed to these foreign companies, there will be nothing left for U.S. companies. The geographical setting of the new Mariel port is strategic in terms of trade, industry and services in Latin America and the Caribbean. On the northern cost of Cuba only 45 km west of Havana, it is located along the route of the main maritime transport flows in the western hemisphere. As the largest industrial port in the Caribbean, it will be equipped with state-of-the-art technology to handle cargo from the larger container ships that will begin to arrive when the expansion of the Panama Canal is completed in December 2015. 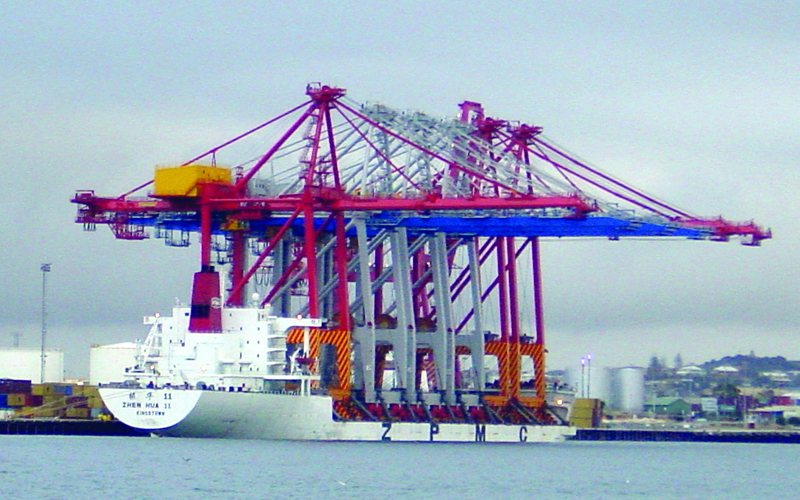 Those larger ships can carry up to 12,500 containers, triple the capacity of the current ships, and the port’s warehouse capacity is 822,000 containers. 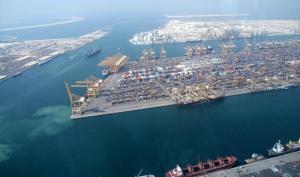 Here are some photos of the development of this port. The Mariel project includes highways connecting the port with the rest of the country, a railway network, and communication infrastructure. In the adjacent special zone, currently under construction, there will be productive, trade, agricultural, port, logistical, training, recreational, tourist, real estate, and technological development and innovation activities in installations that include merchandise distribution centers and industrial parks. The special zone is divided into eight sectors, to be developed in stages. The first involves telecommunications and a modern technology park where pharmaceutical and biotechnology firms will operate. Other sectors include renewable energies, agriculture and food, chemical, construction materials, logistics and rental equipment. For the last four sectors Cuba is currently studying the approval of 23 projects from Europe, Asia and the Americas. The May 2014 visit to Cuba by a delegation from the U.S. Chamber of Commerce evidences U.S. businesses’ cognizance of these economic and commercial realities. The delegation’s head and the Chamber’s president, Thomas Donohue, said in a speech in Havana, “For years, the US Chamber of Commerce has demanded that our government eliminate the commercial embargo on Cuba. It’s time for a new approach.” At the conclusion of the trip he said the delegation and Cuban officials had “talked about steps forward that might be taken by both countries” to improve U.S.-‪Cuba relations and that their meetings with President Raul Castro had been “positive.” In addition, the Chamber in congressional testimony has called for an end to the embargo and has supported proposed legislation to end the ban on U.S. citizens traveling to the island and easing restrictions on U.S. exports of farm and medical products. Another sign of U.S. companies’ interest in Cuba is the visit to the island this past June by Google executives. They said they discussed increasing Cubans access to the Internet and Cuba’s need for improving its Internet technology. Given the limited space for an individual editorial, the New York Times editorial does not discuss any of the other many issues that need to be addressed by the two countries in order to establish truly normal relations. Nor does it discuss how this normalization process can happen or be facilitated. [1a] This month Dr. José Ramón Cabañas Rodriguez, the Chief of Mission, Cuban Interests Section, emphasized that Cuba now has term limits on every governmental office, including president: two terms of five years each for a total limit of 10 years, and Raul Castro has announced that this applies to him and thus ends his term as president in 2018. Dr. Cabañas also emphasized that many younger people are taking over many governmental positions and that there has been a decentralization of power to municipalities. This blog has provided detailed criticism of the ridiculous, absurd, stupid and cowardly rationales provided by the U.S. for such designations in 2010, 2011, 2012 (with supplement), 2013 and 2014. This blog has provided criticisms of the embargo. This month Dr. José Ramón Cabañas Rodriguez also said that the U.S. and Cuba in recent years have had bilateral discussions regarding migration, drug trafficking, search and rescue in the Florida straits, stopping oil spills in the Caribbean, airline security measures, scientific exchanges and restoration of direct telephone and mail services. In addition, the U.S. has invited or permitted an invitation to Cuba to attend a Clean Oil Conference in San Antonio, Texas in December 2014. Although it certainly is debatable whether Mr. Gross was unjustly convicted in Cuban courts for violating Cuban law, I agree that it is in the U.S. national interest to have him released and returned to the U.S. Cuba, however, has argued that the three of the “Cuban Five” still in U.S. prisons should also be released and allowed to return to their homes. At a minimum, I believe that negotiations between the two countries could and should lead to at least a one-for-one exchange with the U.S. President commuting the sentence of one of the three Cubans to time served. This blog has called for normalization of Cuba-U.S. relations and has criticized the U.S. for insisting on preconditions for holding any talks with Cuba to improve relations. Another blog post was a public letter to President Obama recommending reconciliation with Cuba. In addition, this year a group of 50 prominent Americans issued a public letter to the President urging him to take executive action to expand U.S. involvement with Cuba. Another blog post criticized recent opposition to pursuing such reconciliation. Three Obama Administration officials–Secretary of State Hillary Clinton, Secretary of Defense Leon Panetta and Chairman of the Joint Chiefs Martin Dempsey–were the witnesses at the May 23rd hearing. Their full testimony is available online. 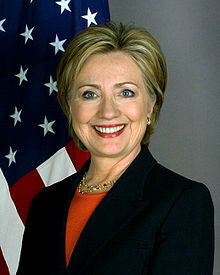 Secretary Clinton said, “Whatever arguments may have existed for delaying U.S. accession no longer exist and truly cannot even be taken with a straight face.” By refusing to ratify the treaty, Mrs. Clinton said, the U.S. could fail to exploit untapped oil and gas deposits buried beneath the offshore seabed. It could lose out to Russia, Norway and other countries in staking claims to the Arctic Ocean, where melting ice is opening up untold mineral riches. And the U.S. could lose credibility in challenging China’s maritime ambitions in the South China Sea. 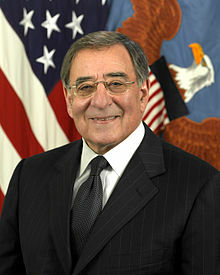 Secretary Panetta and General Dempsey focused on the national security benefits, arguing that by instituting rules and a mechanism for resolving disputes, the treaty reduces the threat of conflict in hot spots like the South China Sea and the Strait of Hormuz, which Iran has threatened to block in retaliation for oil sanctions. Panetta’s lengthy earlier speech about the treaty was summarized in a prior post. Two Republican members of the Senate Committee voiced opposition to ratification. Senator James Inhofe of Oklahoma complained that under the treaty, the U.S. would have to transfer billions of dollars in royalties from oil and gas production on the continental shelf to an international authority, which would redistribute the money to less developed countries. Senator James Risch of Idaho said the treaty would oblige the U.S. to adhere to international agreements to stem greenhouse gas emissions. “That’s got Kyoto written all over it,” he said, referring to the climate change treaty previously rejected by the United States. There is other opposition to ratification. Last week the U.S. House of Representatives passed an amendment to a defense spending bill that banned funding for implementation of the treaty. Also opposed are The Heritage Foundation and other conservative organizations.